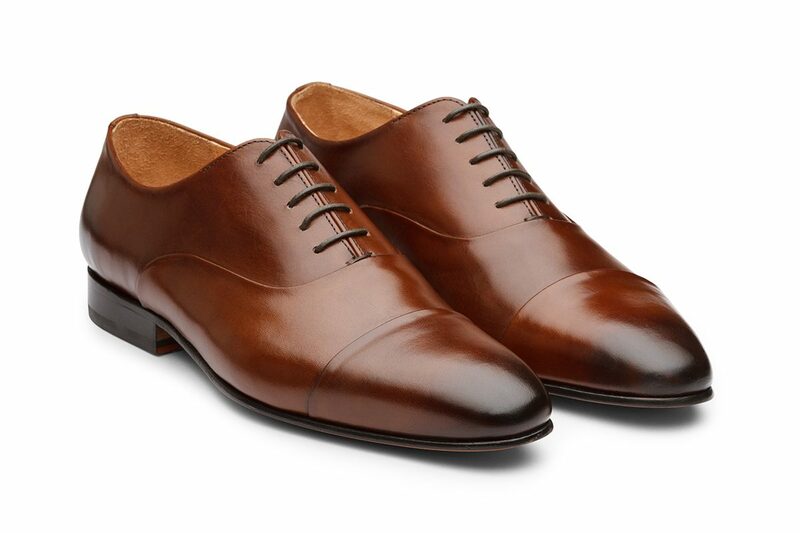 Sleek & distinctive, our classic oxford lace-ups matched with a contemporary feel. Made of soft calfskin with toe caps and a leather core. They come with leather soles that have been Blake Stitched for durability and comfort. The hand painted burnished brown adds to the excitement of this style.